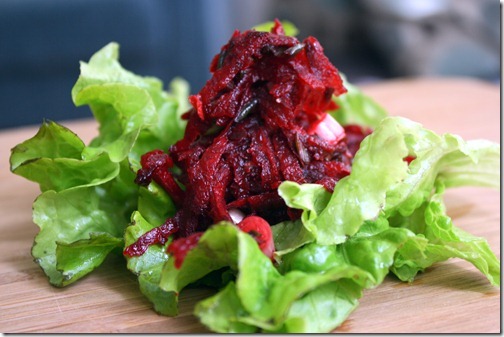 This is a refreshing dish that omits the leaves for an earthier, more filling side salad. The beet taste is cut by the citrus from the orange and lemon and lifted by fragrant mint leaves. 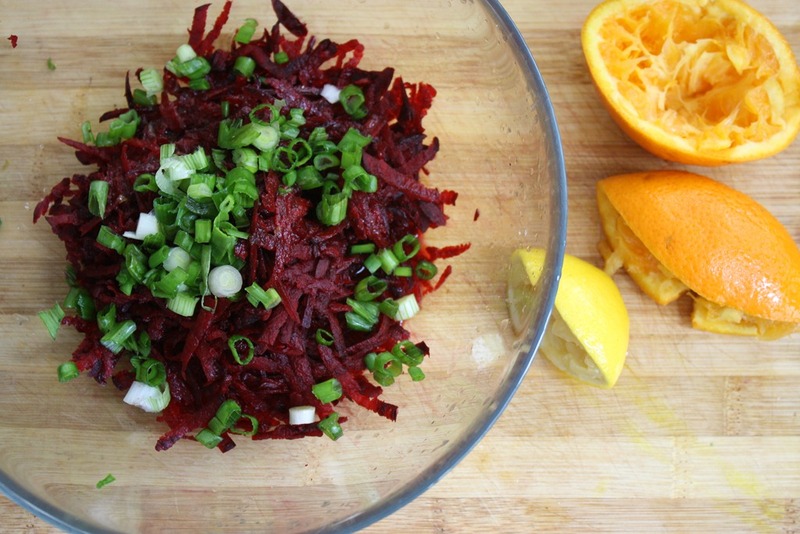 I love the chew in this recipe and afterwards, it leaves me feeling fuller for longer and not looking for much more to fill a hunger or craving void. My senses are satisfied. Find the step-by-step picture recipe here. This entry was tagged beets, citrus, green onions, lemons, mint, olive oil, oranges, salad, scallions, vegan, vegetarian. Bookmark the permalink. Hooray for beets! I haven’t had a raw beet concoction in quite a while–thanks for the reminder!